Subscribe today — get 11 free ebooks delivered to your inbox 3 times a week. Click here! Eight years ago the December Plague swept through the human population of earth. The Infected were driven mad by the disease, becoming violent and cannibalistic, killing even those closest to them without hesitation. 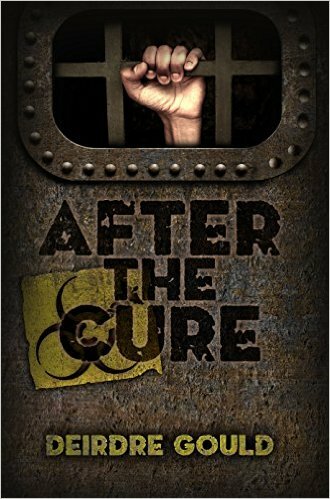 Six years ago, the tiny surviving community of Immune humans found a cure, and the Infected began to wake up and realize what they’d done. And what had been done to them. Over time, society began to rebuild itself. Now it is ready to judge those responsible for the Plague. Nella Rider, the court psychologist and Frank Courtlen a defense attorney are trying to establish the truth. But more depends on it than they know. They race to find the answers they need before the fragile remains of humanity vanish for good. I love zombie fiction, and outbreak fiction, and post-apocalyptic fiction. I have to say, After the Cure is right up there with my other favorites, like The Stand. I love that this book is almost a cross-over between zombie and outbreak fiction. A really original take on things. I could NOT put it down. The characters are fleshed out really well (pardon the pun). Even the “villian” is a complex character. I found the storyline to be very believable (I hate books with giant plot holes). And consistent. It annoys the crap out of me when authors break the rules of their own universe. Great book. Great story. Great characters. I’m looking forward to more from this author.